Receiving tips from a fellow traveler who has “been there, done that” might just be the smartest thing you can do. When you're visiting a new locale, that one particular suggestion or recommendation–whether big or small–can manage to come to mind at the exact right time and voilà! You're saved headaches, time and perhaps even a little money. 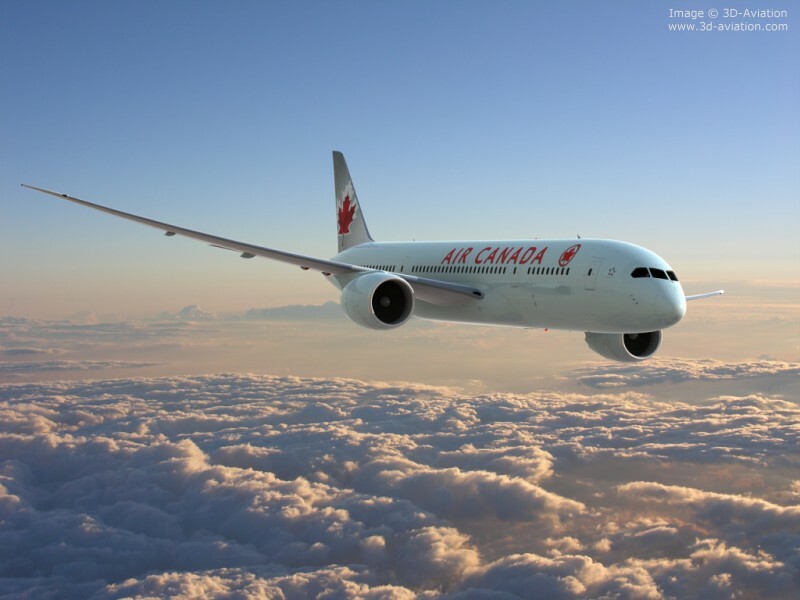 However, every once in a while Air Canada and Air France surprises us and cheaper flights overseas are to be had. I recently flew to Paris on Air France. Love em! Both airlines do have seat sales; however, they are rare. I am a huge fan of Air France, but to save some money it might be worth it to fly Air Transat. To Centre Ville: Do yourself a favour and take a taxi! The cost is 50 – 70 Euros, depending on your drop-off point, and it is worth every penny. Juggling your bags while attempting to navigate the Métro after a night of very little sleep is not a good way to start your visit. Mind you, my friend Orla will disagree. She prefers the Métro. But we are talking about a woman who shows up with only a carry-on, wearing her ultra-comfortable Lululemon garb and runners, and ready with a fresh face to conquer Paris after claiming she slept the entire way drug-free. Right! If you have this incredible energy, go nuts! If not, like moi, take a taxi! If you don't mind sharing your ride in, then a shuttle service is also an excellent option. Try booking through Expedia as I find them quite reliable. Several times now I have flown into London and out of Paris, or vice versa. This way I can see two of the most beautiful cities on one trip. And there is no easier way to get from one to the other than Eurostar. You can't beat the convenience of leaving from one city centre and arriving into another city centre. The Eurostar high-speed trains are definitey my first choice. Boarding is stress-free, the seats are comfy and the journey is so smooth you can hardly feel that you're moving! Vélib' public bicycles are everywhere and a perfect cost effective way to see Paris. There are pick up and drop off points throughout the entire city. And yes, it's safe to cycle through Paris. You cannot flag a taxi. Rarely will they stop for you. They are only available at taxi stands where you will find yourself waiting and waiting, especially in the evenings. Take the Métro. It's a lot easier than it looks. 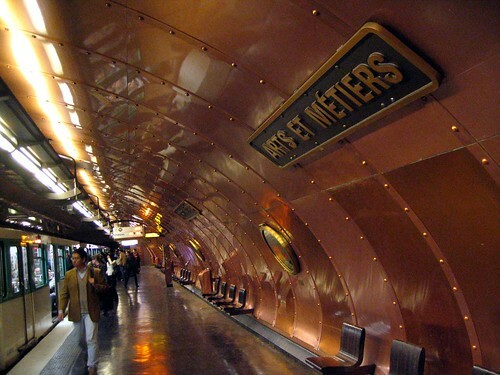 Arts et Métiers ;;; ; one of the most beautiful Metro stations in Paris. And of course there's walking. To me, this is the best way to see Paris... even if it takes hours to get from A to B. Here's a little secret; actually, I'm sure many women are probably already doing this. The large extravagant luxurious hotels, which are situated just about everywhere, have the most wonderful lobby “toilettes.” I walk in, pretending to be a guest, and very discreetly go on my search for their lobby toilette. I have yet to see a hole-in-the-floor squat toilet! There are also the public toilettes, Sanisettes, which are situated all over Paris. A few of them require a coin to enter; however, the majority are free. Apparently they are self cleaning and not-so-bad. I will most likely never be able to confirm this. Use the hotels, a more pleasant experience I am sure. When you shop in France and spend a minimum of 175 Euros in a boutique, or department store, you are eligible for a tax refund. Collecting your reimbursement is extremely easy. It always amazes me at how many people can't be bothered with it. The refund can be as high as 19.5%! In order to collect the VAT you must have a form from the store where you purchased your goods. The form is filled out in front of you at the time of purchase. You must ask for the form or they will assume you do not need one. You collect your refund at the VAT counters located at the airport. They are usually located in the check-in areas, so do not wait until you've gone through security. If you can't find it, ask someone. You must have your item(s) on you when collecting your refund in case they want to see it. So do not check them! I have never had to show my goods, however, I always have them with me and available if necessary. Ask for cash back in Euros. Do not have it exchanged in your own currency. You lose too much during the exchange process. Also, do not ask for a credit on your credit card. Out of all the times I have asked for a credit only once did I see that it actually happened. Now I only request for cash back. They will ask you this at the store and at the VAT counter. There can be line-ups at the VAT counters so you may want to leave a little earlier for the airport. I have never waited long. So get shopping and do not forget to collect those forms! My inability to pack a suitcase without frustration came to a quick end a couple of years ago. After listening to my friend Craig's constant bragging about his carry-on only concept, and becoming extremely annoyed with the massive trunk of inadequate shoes and mess of clothing I was lugging around, I had finally had enough! "That's it," I said to myself. "I must take packing more seriously!" So now, I do. My what-to-bring excel spreadsheet has become the most useful tool. Yes, you read that correctly—a spreadsheet. A clothes calendar, if you will. I figure out beforehand what I will wear each day, shoes included. Keeping an eye on the weather forecast as you approach your departure is key in making this a success. If you don't need those extra layers don't bring them. Because of this new incredible planning regime I am now down to carry-on only. I have conquered a ten-day holiday with only a carry-on. 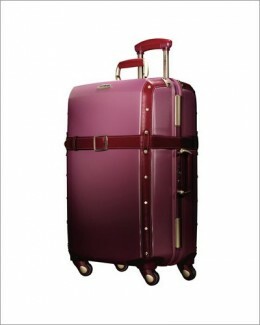 Whether you are hopping on trains and boats or staying put, light luggage is wonderfully convenient. With this effective new way of packing comes two challenges: an unfortunate weight allowance and a limit on the liquids that you can bring, including lotions, shampoos, etc. Wear your heaviest clothing and shoes/boots on the plane. You can always throw the jacket and/or sweaters in the bin above you. With respect to the liquids, every item must be under 100ml and all contained within one clear ziploc bag. With a little bit of thought this becomes an easy mission. Leave the hairdryers at home. Confirm with your hotel or apartment rental that there will be one waiting for you. They are an unnecessary waste of space. Laundry is always on the agenda, whether I hand wash, have items laundered by the hotel or use the laundry facilities in my apartment. There is nothing quite like a freshly washed pair of PJ's. I have had friends ask me to pack their bags. They don't understand how a carry-on is possible, especially when traveling to one of the top fashion-conscious cities in the world. I remind them that, though the French are fashionable, they are elegantly simple. Elegantly simple does not require an extensive wardrobe, just a smart one. The Samsonite Black Label Vintage Collection - my luggage of choice! Immediately following the fun task of booking a flight to Paris, I open the Notes app on my iPhone and begin creating a shopping list – I jot down all of my must-haves from my preferred French brands. By the time a Paris trip rolls around, I have usually run out, or am getting low, on all of my beauty products and am quite ready to stock up! This is why, after I land and check into my hotel, my first mission is to beeline to Florence, my cosmetic expert at Pharmacie Monge Sacré Cœur. I discovered my favourite pharmacy one day while en route to Sacré Cœur. The pharmacy is not an elaborate one. It's not the luxurious cosmetic floor at Le Bon Marché, but that's okay. It is modest, and that is precisely what I love about it. They hold all of the brands so your beauty expert isn't focused on only pushing one cosmetic line that she/he represents. Within 15 minutes during my first visit I met Florence, and now she helps me with my beauty routine. My reasons for sharing this information with you are twofold: first and foremost, the prices. French brands are indeed cheaper in France! And secondly, what woman doesn't love hearing about a solid beauty regimen?! That first day in Paris is always a killer. With little to no sleep on the plane the night before, how can you not be affected? Even when I have been fortunate enough to get bumped up from coach or finally been able to cash in my hard earned points for a dreamy pod, I still do not achieve the necessary sleep. Sleeping pills, recommended by my friend Craig, put my husband in such a state that an emergency nap was required in the middle of the next day. "I need to sleep right now!" he said, while we were enjoying the Louvre. So we ran along to find a little quiet corner in the Jardin des Tuileries. I put my sweater down and there he slept for a solid two hours. Never again! I have also tried actual jet lag medication. My poor mother and I were wide-eyed and reading our books the entire night. We were hit hard with sleepiness the minute after we departed the plane. I do not believe it was supposed to work that way. You would think after being overseas so many times that I would have figured something out long ago. But it wasn’t until last Christmas that I finally got it. I had such a busy schedule on that first day that I didn’t have the option of sleeping. We hit the sack at midnight. The next morning I woke up feeling completely refreshed. Voila! Make yourself stay up! There's your answer. I have tried this several times since and it works like a charm. If you can keep awake that entire first day and go to bed at your regular time then you’ll manage to slip right into local time. No meds necessary. Blow-drying my hair has become quite the chore. Spending 30 to 40 minutes on it is the last thing I want to do while on vacation. So, I don’t! I leave it to the salons. For 20 to 40 Euros you can get a beautiful wash and blow, depending of course on where you go. Hotels will charge much more. The two salons I frequent in Paris are Toni & Guy at 248 rue St Honoré and Jean-Claude Biguine SARL Robinson at 53 avenue de Suffren. Both salons have several locations throughout the city, so it’s not necessary to specifically hunt these two down.